Philips Norelco Multigroom All-In-One Series Just $12.99! Down From $20! You are here: Home / Great Deals / Amazon Deals / Philips Norelco Multigroom All-In-One Series Just $12.99! Down From $20! Philips Norelco Multigroom All-In-One Series 3000 Just $12.99! Down From $20! This Philips Norelco Multigroom All-In-One Series 3100 is currently on sale at Amazon for just $12.99 down from $20 PLUS FREE shipping with Amazon Prime or for orders over $25! Get a comfortable and safe trim that is high on performance. The self-sharpening blades made of finely ground steel ensure long-lasting performance, while skin-friendly rounded blade tips and combs prevent skin irritation. The Philips Norelco Multigroom 3100 can be easily cleaned by simply rinsing the device under the tap. 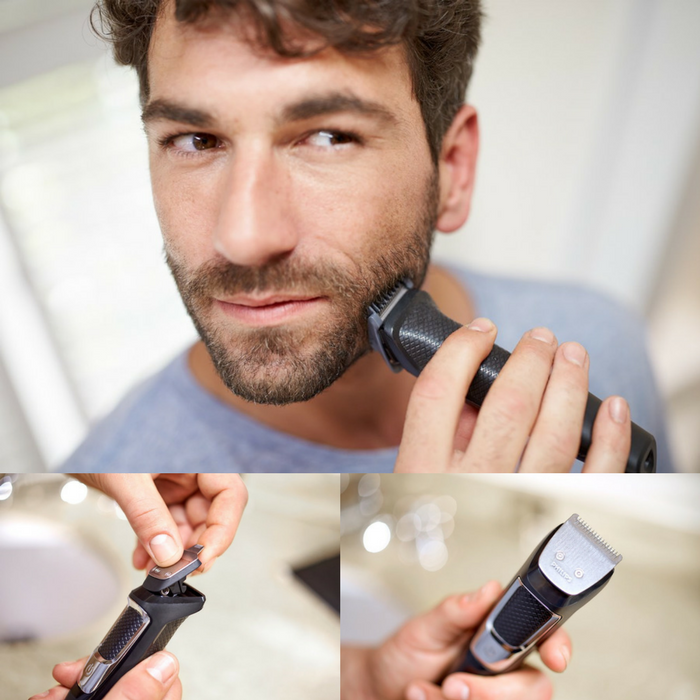 Groom your beard, mustache, and head with this all-in-one trimmer. 5 different attachments give you the tools to easily get the looks you want. All-in-one beard & hair trimmer. Includes nose trimmer + beard and hair comb with 18 length settings. Chromium steel self-sharpening blades ensures long-lasting performance.